Meet Dr. Michael Brooks | Meet Dr. Michael Bowman | Meet the Staff | What is a prosthodontist? Dr. Brooks served in the United States Air Force and practiced the specialties of prosthodontics and maxillofacial prosthetics prior to joining Peninsula Prosthodontics. 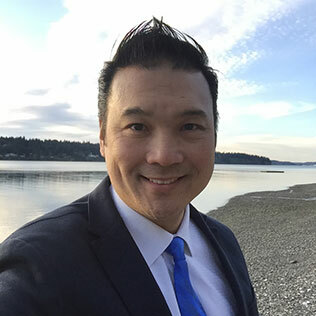 Extensive experience with full-mouth rehabilitation using All-on-4® implant-supported dentures makes Dr. Brooks one of the most sought-after prosthodontists in all of Washington. He lectures to general dentists on the local, national, and international level on the subjects of dental implants, All-on-4, and other prosthodontic treatments.